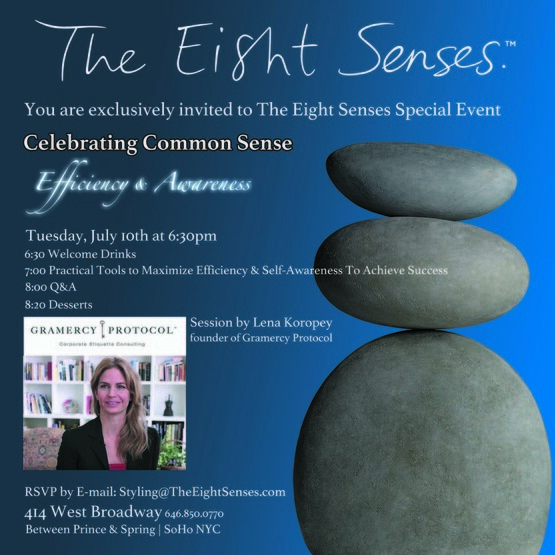 A Common Sense session, led by Lena Koropey, Founder of Gramercy Protocol, will be the featured experience for the evening. Guests will learn practical tools to maximize Efficiency and Self-Awareness to achieve success. Lena Koropey is creating a human chain of Kindness throughout the World with STRIP TEES. Why is this important and how can you participate? Join us Thursday, November 2 @ 11am EST On The Edge. 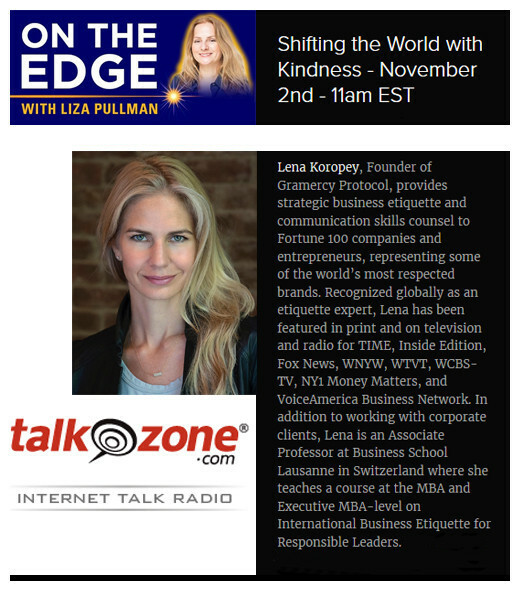 On the Edge with Liza Pullman is a syndicated radio show produced by TalkZone that takes listeners to the frontier of human potential. What really is possible? Experts in medicine, business, science, and belief systems divulge methods and pathways to productivity, profitability, well-being, freedom and happiness. The idea of “If I work harder, I’ll be more successful. If I’m more successful, then I’ll be happier” is a broken formula for success. The human brain performs significantly better when happy and positive than at negative, neutral, or stressed. This means that if we can find a way to be happy, then our brains can work even harder, faster, and more intelligently. We don’t have to sacrifice our happiness for success - we can simply have both. The Lehigh Women in Business spring conference provides a distinguished opportunity for Lehigh students and alumni to engage in professional and personal development through a value-added speaker series. The series will inspire individuals and promote awareness of important issues facing leaders.